➴Clean the skin area that needs hair removal. 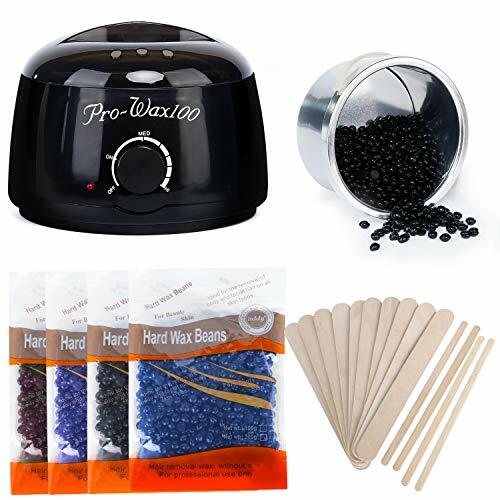 ➴Heat up until the wax beans are completely melted (Adjust the dial to 185℉ for time-saving and fast melting. (and it will start working and lighting again when temp under 110℉). ➴Spread a layer of wax over the skin in the direction of hair growth. 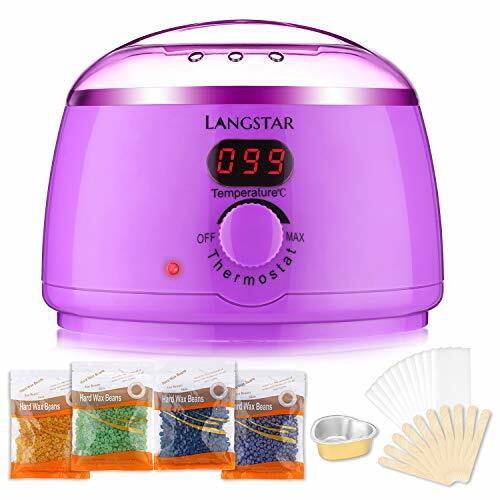 ➴Waiting for 6-8 seconds, then peel off the wax in the opposite direction of hair growth. ➴Clean up the residual wax over the skin with cleansing oil or baby oil. ➴Then drop some of the cleaning oil or baby oil to the pot and reheat until dissolving away the wax residue. 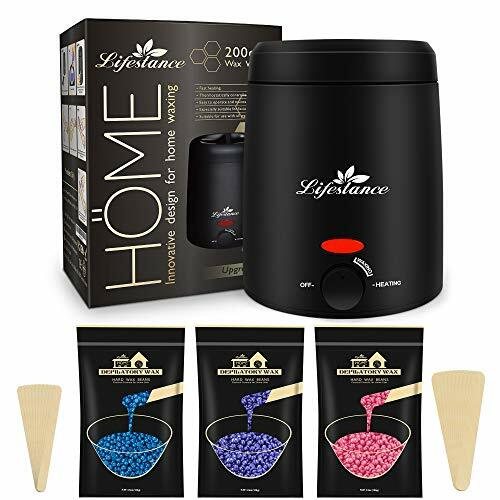 ➴Use paper towel to wipe away any residue in the pot. ➶Test it on a small patch of skin first to make sure your skin is not overly sensitive to the wax. ➶Test the wax temperature on waist before applying. ➶Do not apply wax over cuts, burns, or wounds. ➶Do not use water or alcohol to clean up the residual wax over the skin after hair removal. ➶Soothe your skin with an aloe lotion to calm redness and irritation after waxing session. ➶Do not take a shower or exposure after hair removal. ❤Safety in use with ABS resin: Upgraded ABS material and US three pin plug guarantee safety in use. ABS resin is a nonflammable, hard, great surface performance material. 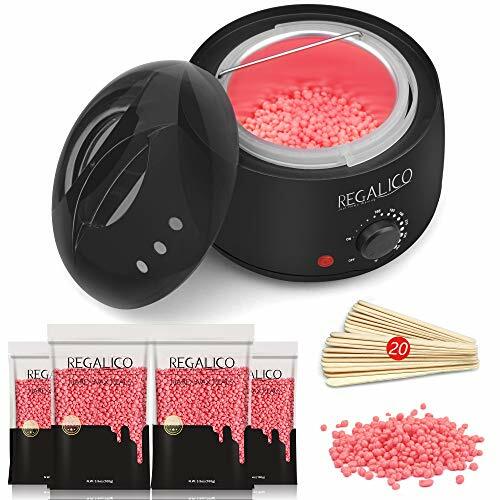 Unlike other dangerous machine outside plastic, it is easily melted and bubbled. FitMaker always keeps the faith: Your safety is our wealth. 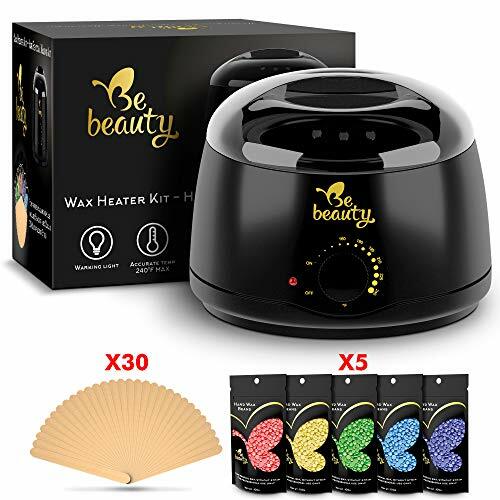 ❤Effective: This is an ideal kit for hair removal needs for men and women, home self-waxing or any waxing spa salon, for total body depilatory needs, including bikini area, back. legs, arms, facial and brazilian waxing. 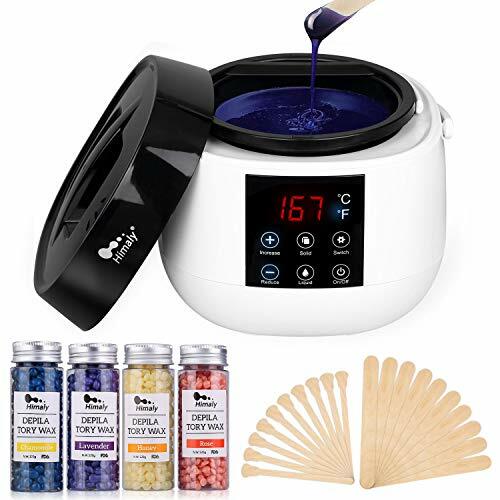 ❤Only 8 minutes melting time needed: Adjustable Temperature from 160℉ to 240℉ allows you to choose. 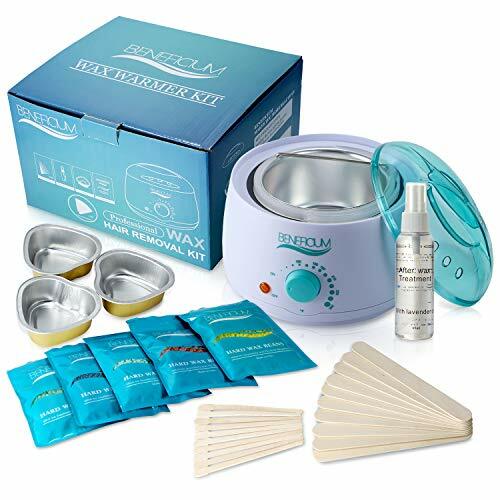 With only 8 minutes for a fast wax meltdown, you can first clean the body parts that need to be depilated when waiting the wax to melt. 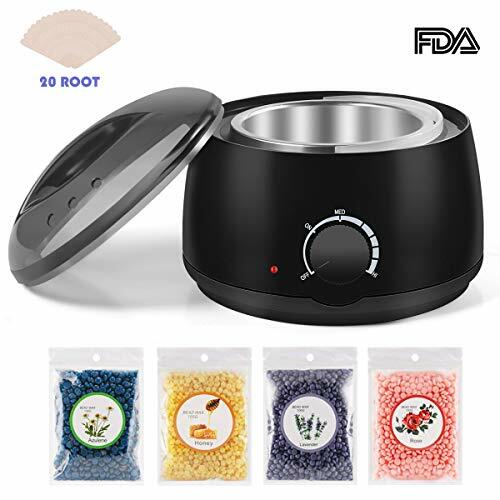 The wax warmer will stop working and light off when the temperature reaches 240℉,and it will start working and lighting again when temperature under 160℉. 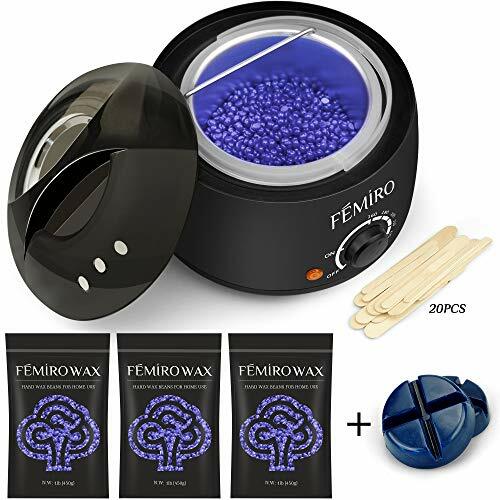 ❤Long-lasting + Rejuvenated Skin + Finer Body Hair: Waxing hair removal extracts hair from the root and thus slower growth, enjoying being hairless for 3-6 weeks. It also exfoliates the skin resulting in improvement in tan as it removes a layer of dead cells from the surface of the skin. When hair re-growths, they are softer and finer. 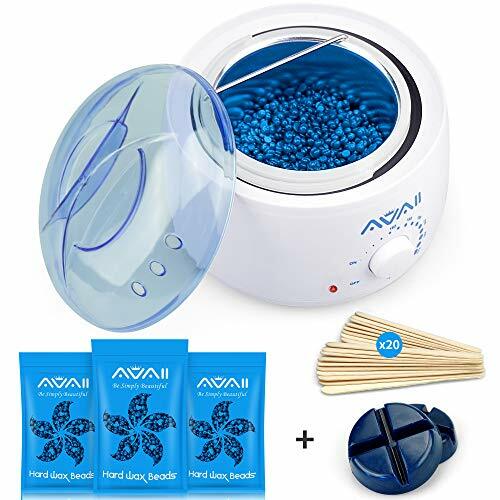 ❤Super Fast Warmer (Safe & Multi-use) + Auto-shut-off Function: A wide range of accurate temperatures (110℉ to 185℉) and adjustable thermostat control knob for quick wax meltdown(in 8 minutes). 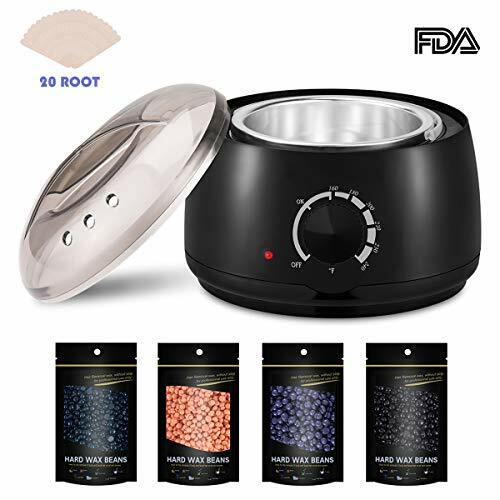 Upgraded heat-resistant ABS material to prevent overheat; Large-capacity 500ml waxing pot can be used for different types of wax, like hard wax, soft wax, loose wax, bricks bikini wax kits, microwavable wax kits and hair waxing kits. 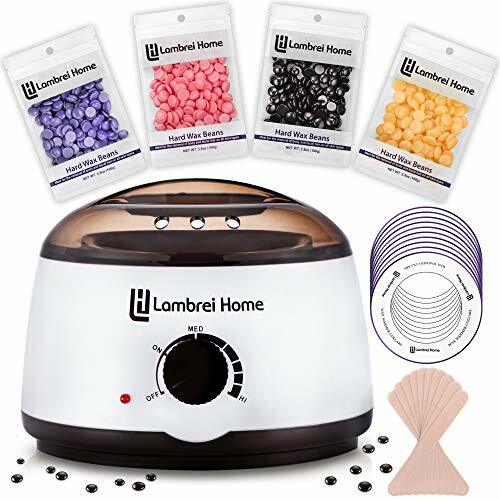 Auto-shut-off Function maintains ideal wax consistency.